This season, black oxfords are far from boring. Many designers have updated this classic staple with a few fun twists. 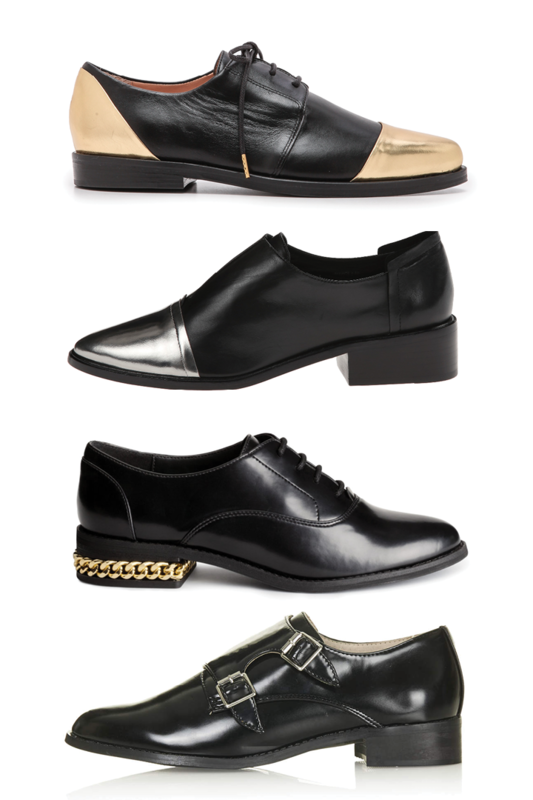 From metallic details menswear inspired buckles you can find a pair of oxfords to fit almost every taste and budget. I'm particularly found of these Rachel Zoe Cap Toe Oxfords (totally splurge-worthy) with a metallic pointy toe. If you're looking for something more budget friendly, these H&M Oxfords come in under $40. Plus, with such a classic shoe you can wear it season without it going out of style.